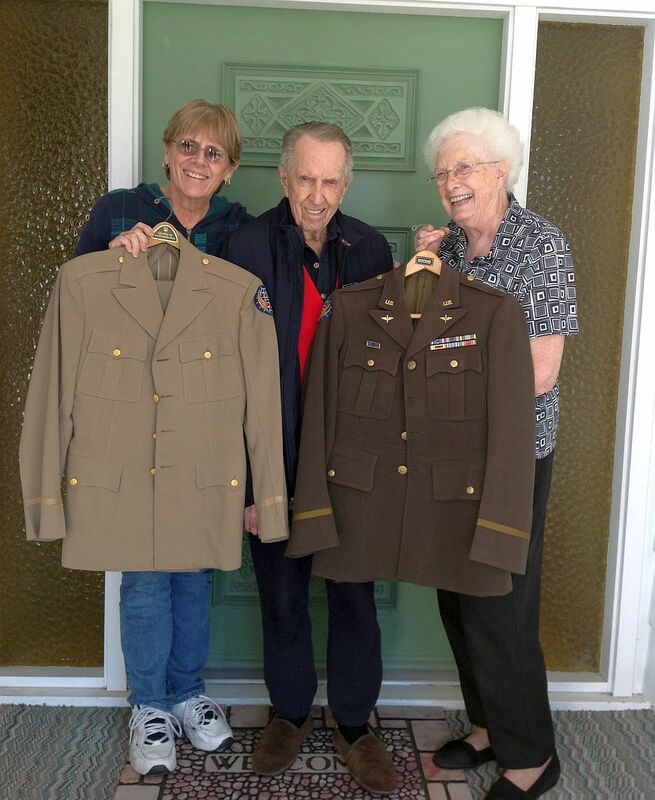 Harold D. Arbon of Z-36, "Lil Abner"
Harold with his daughter Denise and wife Lael displaying his WWII uniforms. 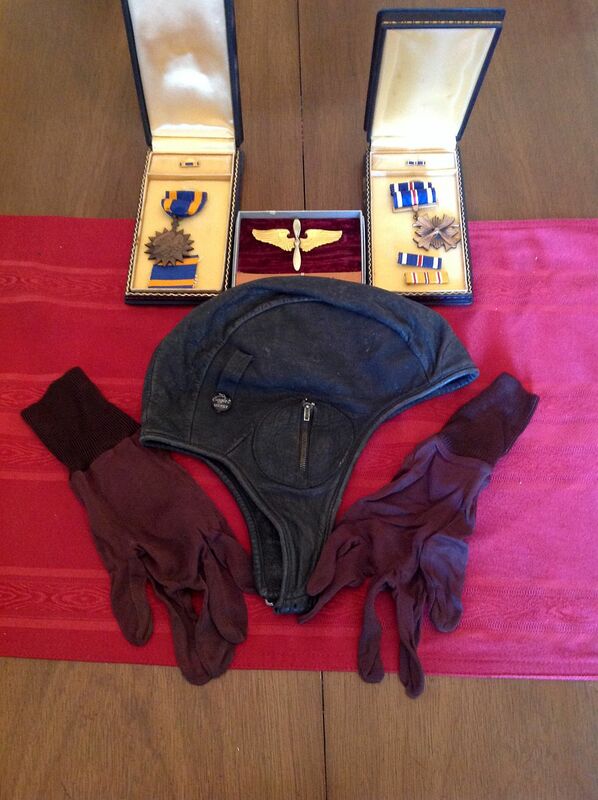 Harold kept his silk gloves and leather cap from his days as a flight cadet in 1942. **SSgt. Frank E. Mize, Tail Gunner. Is missing crewman from photo. Ground crew for the Z Square 36, "Lil Abner." Harold Arbon and crew flew at least 7-8 missions in this aircraft, Z Square 31, "Homing De-Vice." Capt. 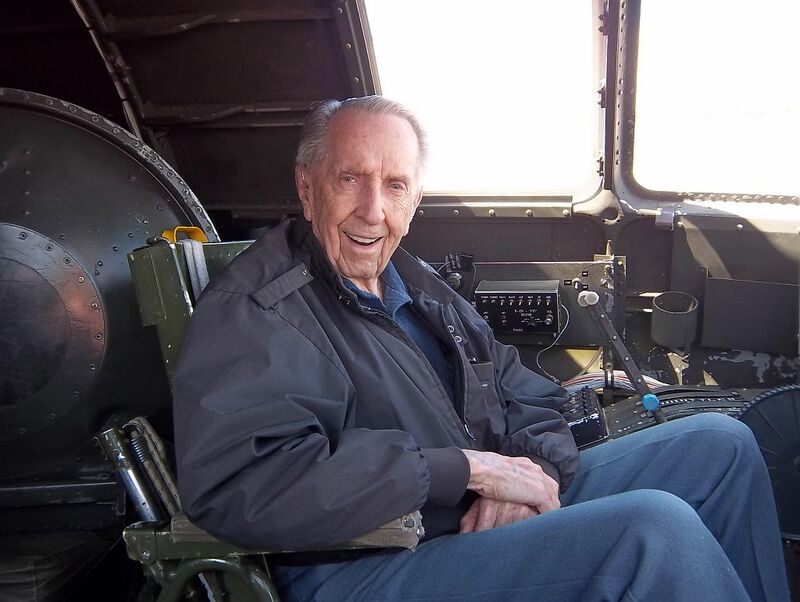 Arbon back in the Aircraft Commander's seat aboard "Fifi" in Salinas, California. He looks ready to take her up! Capt. 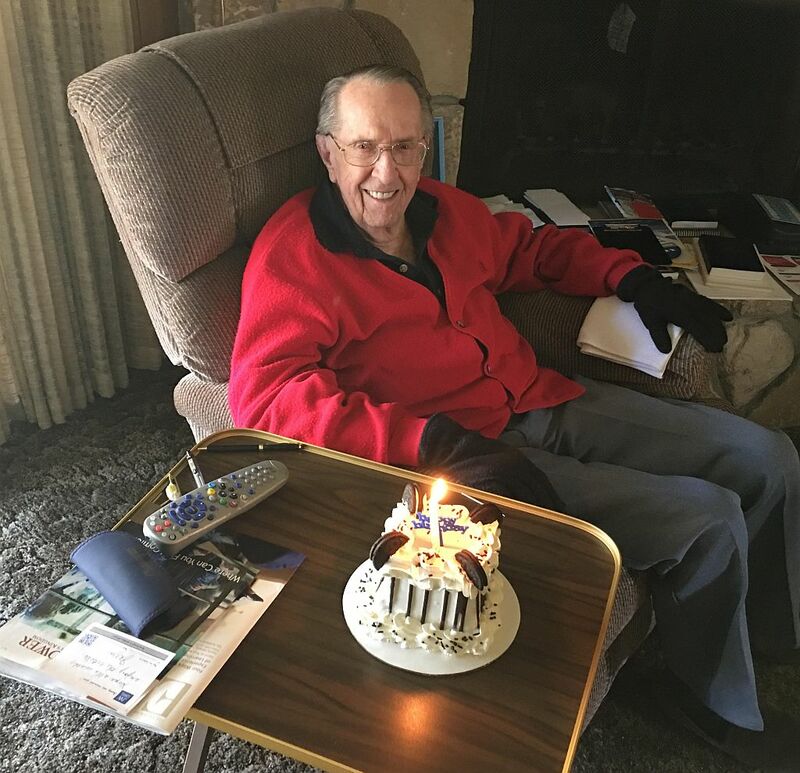 Arbon celebrating his birthday at home on October 5, 2016. Many Happy Returns Captain! 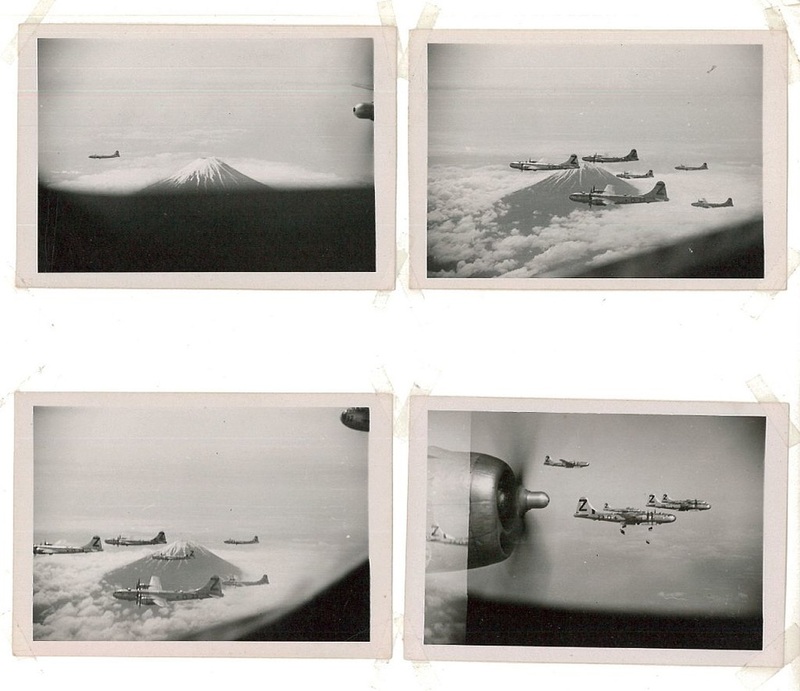 Harold took these four photos from his A/C seat during a bombing mission to Japan. The squadron " hot rod." 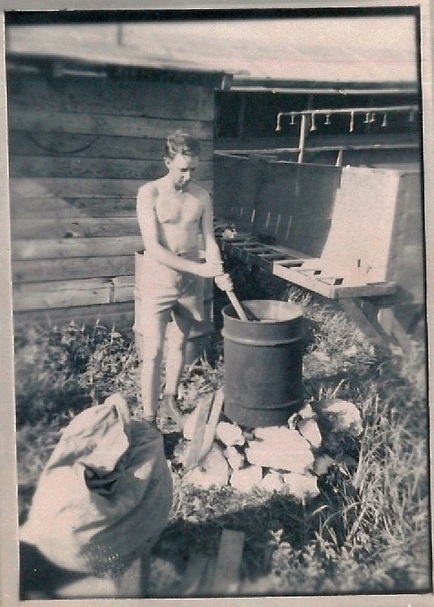 Harold doing his laundry. Primitive but effective. 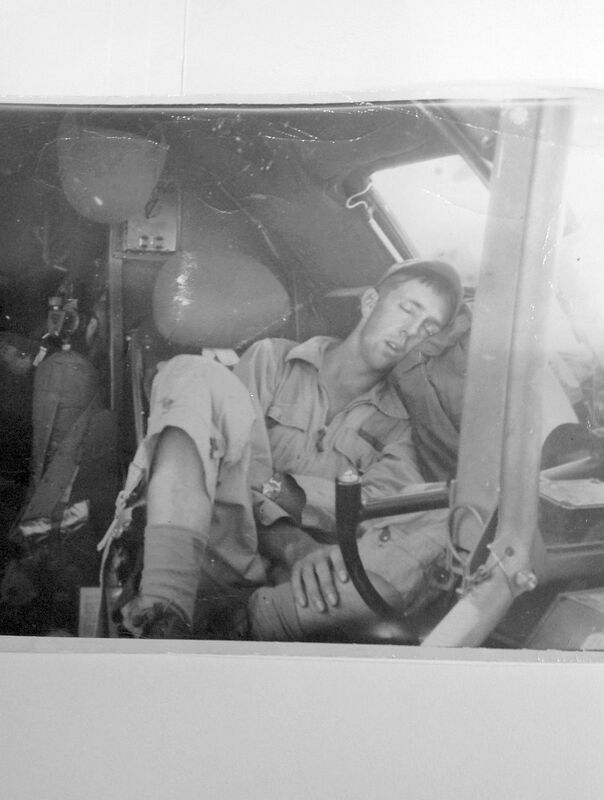 Harold asleep about 7:00am after a bombing mission to Tokyo in April or May 1945. Taken by his bombadier Lt. Walker. SYNOPSIS OF THE DAY TO DAY LIFE/MISSIONS OF THE ARBON CREW. Capt. Harold D.Arbon, 882nd Sq., 500th BG., Crew #234, aircraft number 44-69657, Z Square36, "Lil Abner." 24 Oct 44-Arbon crew and 14 other unassigned crews departed Walker Field in Kansas by troop train for Lincoln, Nebraska. 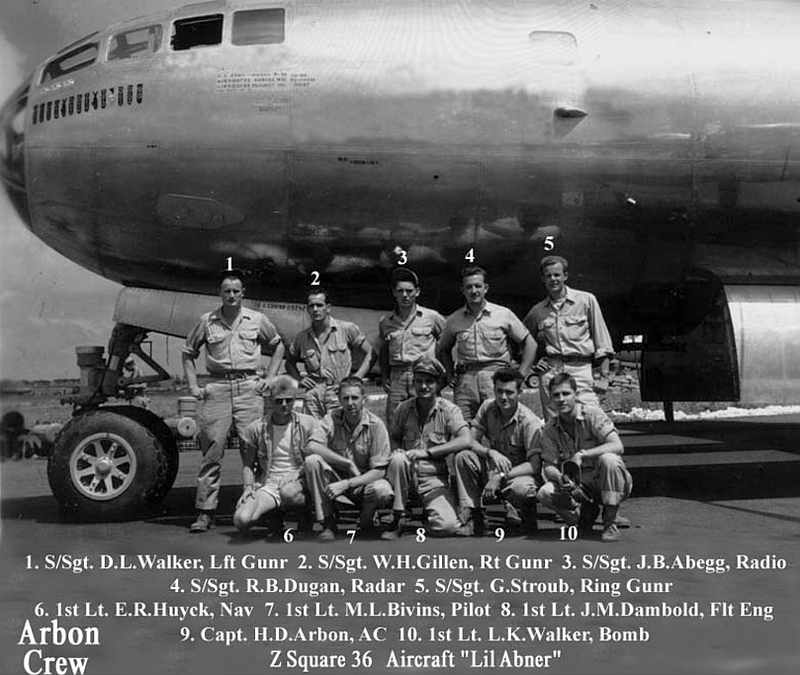 They would wait here to be assigned a new B-29 they would fly to Saipan, or they would be flown to Saipan via the Air Transport Command. They had no duties to perform while in Lincoln. 1 Dec 44-It appears on this date the Arbon and 14 other crews received orders and were shipped to Kearney Field, Nebraska for deployment to Saipan. 5 Dec 44-Kearney. 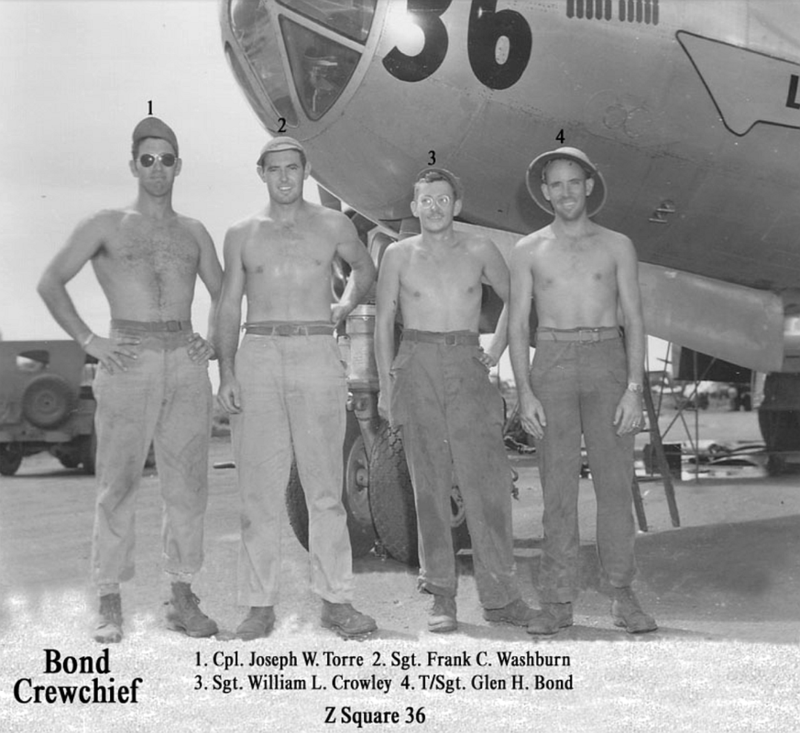 Arbon crew received the B-29 they would fly and took it up for a test flight. 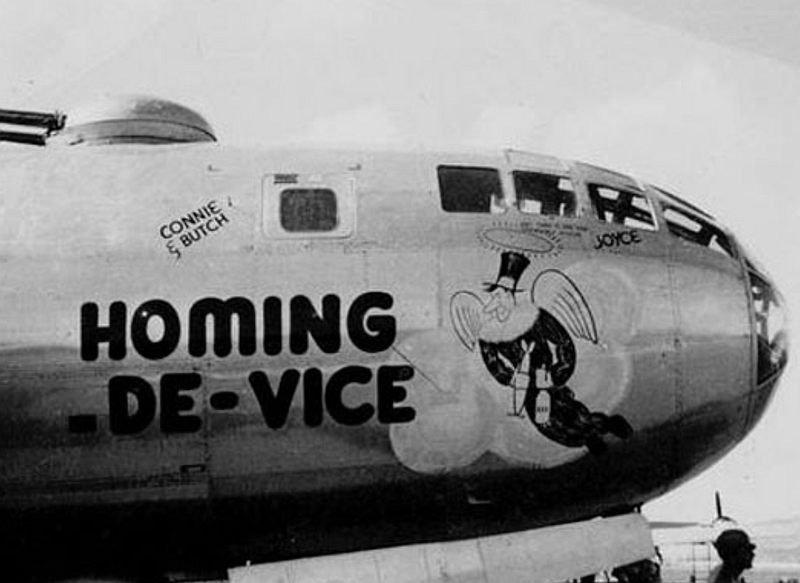 (***This B-29, #42-65246, would be assigned to the 497th BG on Saipan, and would be named the "Irish Lassie." She would be surveyed on 27 Jan 45 after a severe crash landing on Saipan after a mission & never fly again. 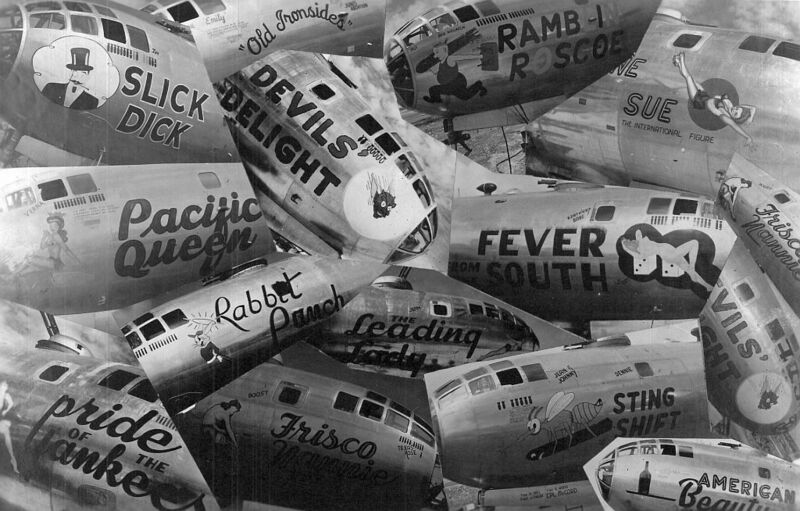 7 Dec 44-Flew to Albuquerque, N.M. Spent several days here to have oil leak repaired on an engine. 12 Dec 44-Flew to Mather Field, Sacramento. 18 Dec 44-Left Mather for Hickam Field, Hawaii. 20 Dec 44-Flew from Hawaii to Johnston Island (for fuel) then on To Kwajalein Island. 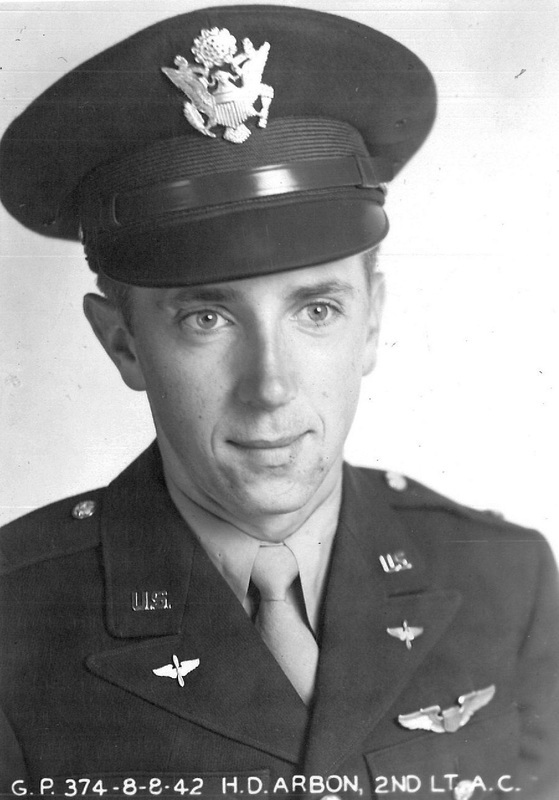 23 Dec 44-Left Kwajalein and flew to Saipan. 26 Dec 44-Saipan. Arbon crew assigned Weather Strike Mission #61 in Z-25, "American Beauty." Had oil leak in #1 engine, feathered. Aborted mission, returned to Saipan. 3 Jan 45-NAGOYA. Arbon crew in Z-28, "Old Ironsides." Had to abort due to #1 engine back firing and losing power. 12 Jan 45-Arbon crew in Z-23, "Ramblin' Roscoe" flying search mission for the missing Charters crew. Negative results. 14 Jan 45-NAGOYA. 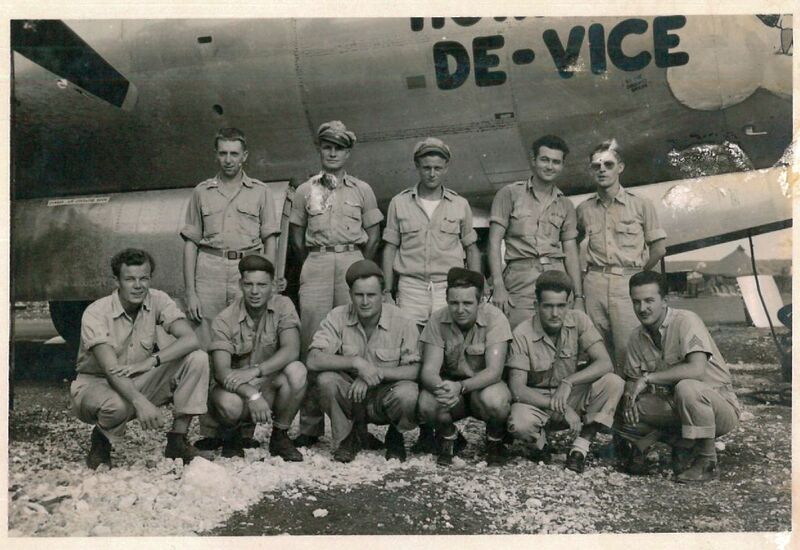 Arbon crew in Z-25, "Homing De-Vice." Critical decisions! First, the bomb bay doors failed to open, then they had a Bomb rack malfunction and only one bomb dropped over target. The frantic Bombardier finally jettisoned the hung up bombs, but the Flight engineer mistakenly dumped 800 gallons of fuel. 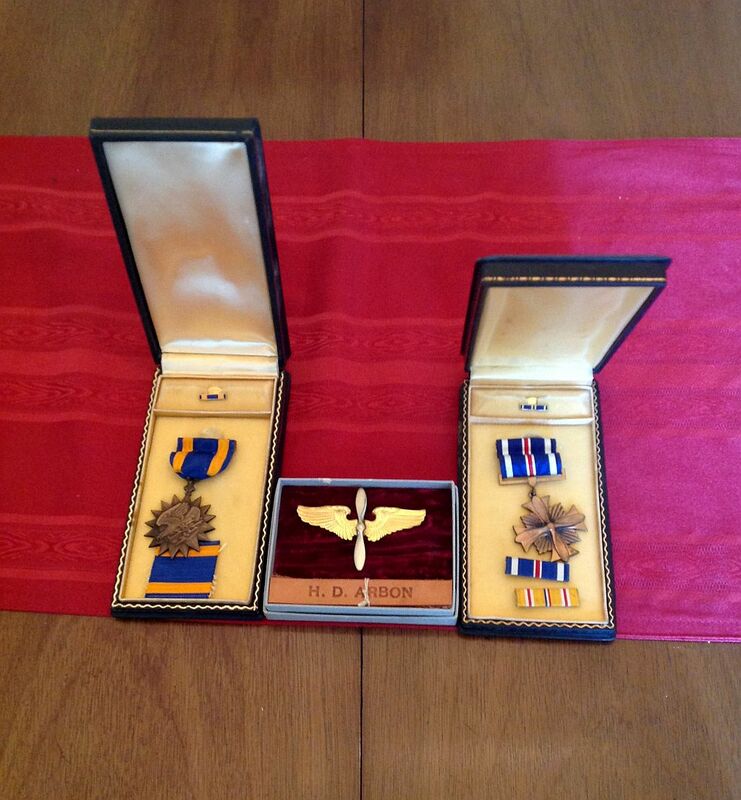 Lt. Arbon had the crew jettison everything from the plane to lighten it...flak vests, food warmers, cameras, all ammunition, radar and navigational equipment, tool kits, oxygen bottles...everything! By the time they arrived back at Isley Field on Saipan all four engines were sputtering from lack of fuel. 23 Jan45 -NAGOYA. Arbon crew in Z-28, "Old Ironsides." 4 Feb 45-KOBE. Arbon crew in Z-27, "The Cannuck." 15 Feb 45-NAGOYA. Arbon crew in Z-28, "Old Ironsides." Bad weather and all planes bombed individually. 22 Feb 45. *****It seems as of this date, Arbon crew was primary crew on "Old Ironsides." But I could not verify. 25 Feb 45-TOKYO. 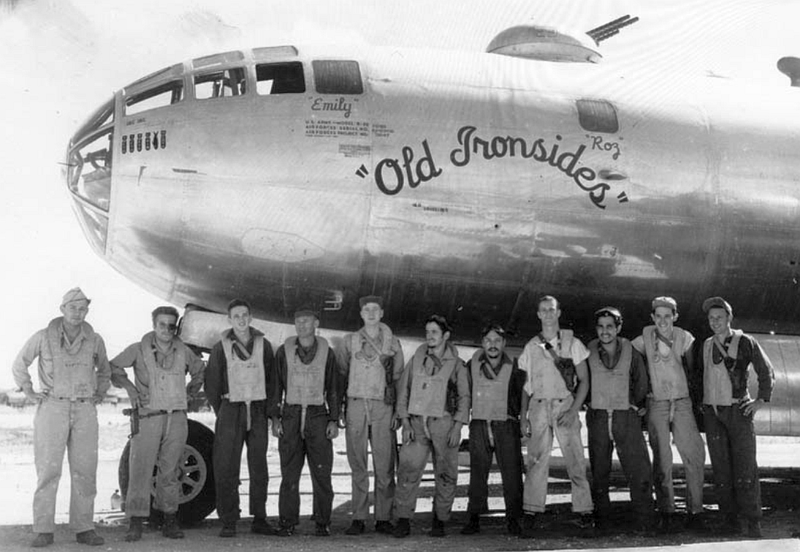 Arbon crew in Z-28, "Old Ironsides." Aborted due to loss of oil in #2 engine. 4 Mar 45-TOKYO. Arbon crew in Z-29, "Gravel Gertie." 9 Mar 45-TOKYO. Arbon crew in Z-31, "Homing De-Vise." (1st low level incendiary raid on Japan.) Aborted mission due to runaway prop on #1 engine that could not be feathered. 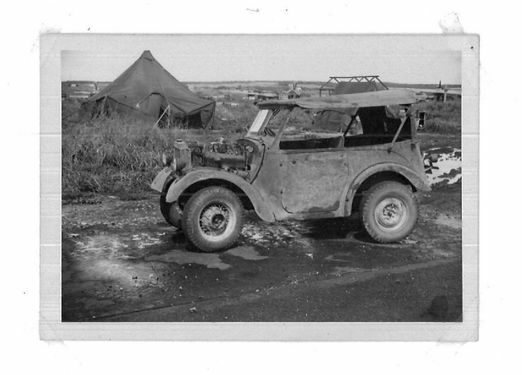 11 Mar 45-NAGOYA. Arbon crew in Z-31, "Homing De-Vise." 13 Mar 45-OSAKA. Arbon crew in Z-31, "Homing De-Vise." 17 Mar 45-KOBE. Arbon crew in Z-31, "Homing De-Vise." 19 Mar 45-NAGOYA. Arbon crew in Z-31, "Homing De-Vise." 25 Mar 45-NAGOYA. Arbon crew in Z-31, "Homing De-Vise." Aircraft struck by flak over target, no serious damage. 27 Mar 45-KYUSHU OKINAWA-Oita. Arbon crew in Z-31, "Homing De-Vise." 31 Mar 45-TOKYO. Arbon crew in Z-31, "Homing De-Vise." WSM. 2 Apr 45-TOKYO. Arbon crew in Z-31, "Homing De-Vise." 13 Apr 45-TOKYO. Arbon crew in Z-36, "Lil Abner." 15 Apr 45-TOKYO/KAWASAKI. Arbon crew in Z-36, "Lil Abner." 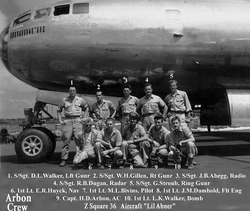 16 Apr 45-Arbon crew on R/R, Hawaii. 27 Apr 45-KYUSHU. Arbon crew in Z-36, "Lil Abner." 28 Apr 45-IZUMI. *Super Dumbo. Landed on Iwo Jima/refuel. 30 Apr 45-TOKYO. Arbon crew in Z-35, "Pacific Queen." 10 May 45-TOKUYAMA. Arbon crew in Z-45, "Mustn't Touch." They were flying this aircraft in a support "super dumbo" capacity. 16 May 45-NAGOYA. Arbon crew in Z-36, "Lil Abner." 19 May 45-HAMAMATSU. Arbon crew. Super Dumbo. 25 May 45. TOKYO. Arbon crew in Z-36, "Lil Abner." 29 May 45-YOKOHAMA. Arbon crew in Z-36, "Lil Abner." 1 June 45-OSAKA. Arbon crew in Z-36, "Lil Abner." 5 June 45-KOBE. Arbon crew in Z-36, "Lil Abner." 7 June 45-OSAKA. Arbon crew in Z-36, "Lil Abner." Aborted this mission because #3 engine split cylinder head. Landed at Iwo Jima. 10 June 45-TOKYO. Arbon crew in Z-34, "Frisco Nannie." 17 June 45-HAMAMATSU. Arbon crew in Z-35, "Pacific Queen." Aborted this mission due to sump pump falling out/oil loss. 19 June 45-KYUSHU/FUKUOKA. Arbon crew in Z-36, "Lil Abner." 28 June 45-KYUSHU/SASEBO. Arbon crew in Z-28, "Buckin Bronc." 1 July 45-KYUSHU. Arbon crew in Z-36, "Lil Abner." 3 July 45-KOCHI. Arbon crew in Z-36, "Lil Abner." 4 July 45- ICHINOMIYA. Arbon crew in Z-36, "Lil Abner." RSMP, Radar. 6 July 45-AKASHI. Arbon crew in Z-36, "Lil Abner." 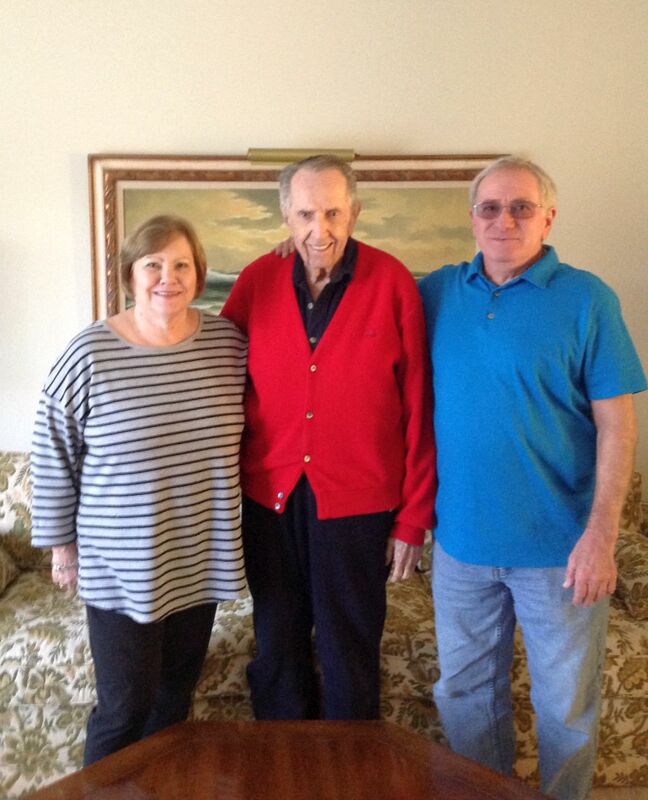 My wife Janice, Harold Arbon and I enjoying our day.